Road-test: Making cold-brew coffee uses a lot of beans. Is it worth it? Perhaps I shouldn't admit this, but three words run through my head whenever I make cold-brew coffee: What. A. Waste. The words first worm their way into my brain when I measure out the beans for a recipe. To put it bluntly, cold brew is a bean hog, demanding twice the amount of grounds (and often more) than your typical batch of hot-brewed coffee. I can't help but cringe after committing an entire 340-gram bag of freshly roasted, single-origin beans to a drink that deprives me of at least two fundamental coffee pleasures: a warming heat and a small wave of bitterness for balance. Which brings me to the second moment those three words pop up: when I'm dumping the bucket of spent grounds into the bin and taking my first sip of diluted cold brew. (Yes, I know, you can spread the grounds in your garden or dump them in your compost pile, but as a dude who eats out 99.5 per cent of the time, I have neither.) Without warmth and a bitter backbone, cold brew frequently has all the pleasure of drinking room-temperature beer without hops. Don't worry. This isn't a rant against cold brew. I'm just stating my bias upfront, so you know how high a mountain I had to climb to develop a recipe that I would actually make again. I'm not alone in this bias. Underneath its hip and placid facade, the specialty coffee industry secretly squirms with baristas, roasters and the like who reject cold brew, even as they sell house-made versions to customers who swear by the drink's smooth, chocolatey flavours. "Yeah, we just don't like it," laughs Ryan Jensen, co-owner of Washington's Peregrine Espresso. "When you brew it cold, you're not going to get the same acidity, the good acidity or the same fruit flavours" of hot-brewed coffee. "You end up with a different beverage ... It just doesn't hit all the marks for me," Jensen says. 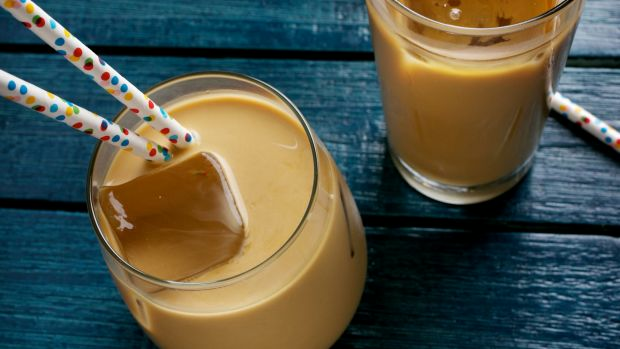 Cold brew should not be confused with iced coffee. Cold brew is brewed in a large container with cold (or room temperature) water and a heap of coarsely ground beans over a long period, typically between 12 and 24 hours. The low-temperature water and the long steep tend to create a sweet, low-acid drink without much of the bitterness common to hot-brewed coffee, which is why so many love cold brew. It's the milk chocolate of coffee. American-style iced coffee is a different animal altogether. It's usually prepared in one of two ways: One is brewed with a lower ratio of grounds to water than with a typical pourover; the resulting hot coffee is then immediately dumped into a jug of ice. The other version – the one preferred by countless baristas – is the Japanese method, in which hot coffee is brewed in a pourover system directly into a carafe filled with a precise amount of ice. 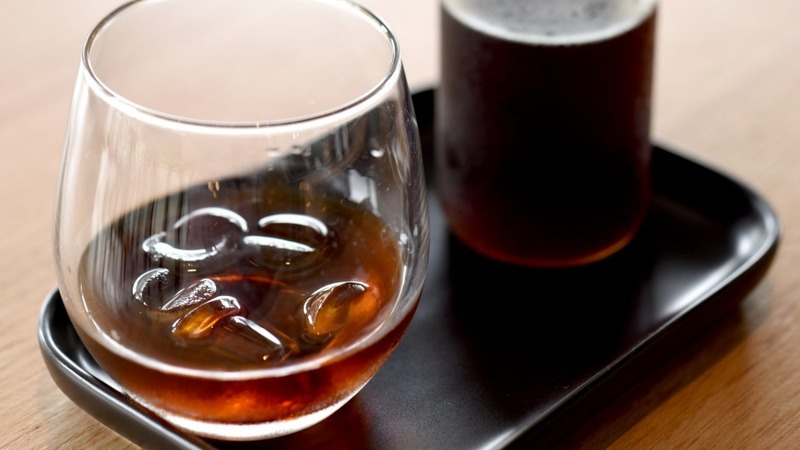 The benefit of the Japanese method, its supporters argue, is that it gives you the full range of coffee flavours (unlike cold brew, which extracts fewer) without diluting the concentrated coffee with an ungodly amount of ice (as the other iced-coffee method does). But I am not concerned with iced coffee. I wanted to tackle the tougher challenge of cold brew. The ratios were the first things to alarm me about cold brew. Once I started breaking down the numbers in recipes I solicited from cafes and comparing them with recipes supplied by Oxo and Toddy, I was taken aback by how much coffee was needed for cold brew. The average ratio of water to grounds was about 6 to 1. Compare that to the generally accepted ratio for hot-brewed coffee, which is about 16 to 1. You begin to understand my alarm. However, cold brew is a concentrate, not a ready-to-drink beverage. Most people cut it with one to three parts water, milk, cream or ice. This very act, of course, dramatically dilutes the flavours extracted in the long steeping process. I wanted a flavour-packed, distinctive cold brew, the kind you would prefer to drink straight or at least poured over one of those spherical ice cubes that melts slower than the devil's heart. I brewed a variety of beans, all freshly roasted and ground: a light roast from Honduras Comsa; naturally processed (or fermented) coffee from Brazil Carmo de Minas; a dark roast from El Salvador San Miguel; a naturally processed coffee from Costa Rica San Diego; a naturally processed coffee from Ethiopia Banko Dhadhato; and a medium-dark roast from Sumatra Dolok Sanggul. The dark roast from El Salvador was the only clunker, an intense, moody liquid that steeped for 24 hours in the OXO brewer. It had some dark-chocolate sweetness but mostly tasted like the inside of a roaster's drum. The natural coffee from Brazil, steeped 13 hours in the Toddy, provided the most unusual drinking experience: Uncut with milk or water, it had an almost bourbon-like quality. The medium-dark roast from Sumatra, steeped 12 hours in the Toddy, was excellent when cut with one part full-cream milk, which played down the cold brew's roastiness and emphasised its fruitiness. But my favourite, and the one I would drink again, was the cold brew made from the natural Costa Rican beans. I loved it on first sip. I drank it straight, and it tasted like chocolate-covered grapes. Even when diluted with just one part water, its pleasures were diminished. I would drink this cold brew only over a large sphere of ice. But here's the problem of creating a cold-brew recipe with single-origin beans. They're seasonal. They don't stick around long. But based on my limited tests, I found all naturally-processed beans produced idiosyncratic cold brews, each emphasising a different fruit – sometimes strawberry, sometimes orange, sometimes blueberry. These kind of coffees are, if you'll forgive me for saying so, a natural for cold brew. 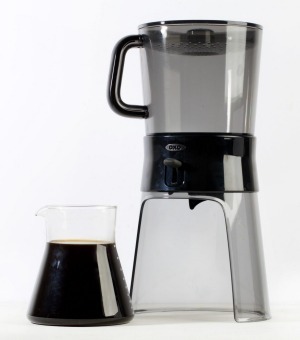 This recipe calls for an Oxo Good Grips cold brewer, which is available online. 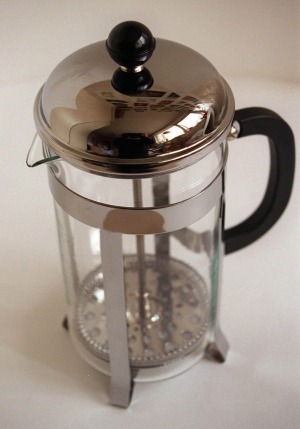 The Oxo cold brewer gives you the option to use both a stainless-steel mesh filter and a paper filter. Use the mesh filter if you want a cold brew with more body. The beans recommended for this recipe are Costa Rica San Diego. If you can't find the beans or they aren't in season, you can substitute light-roast beans that have been naturally processed (that is, beans that are sun-dried with the coffee cherries still attached). The cold-brew concentrate needs to steep for at least 12 hours. It can be refrigerated in a sealed container for up to 2 weeks. Place the mesh filter in the outside base of the brewing container and screw on the filter cap. Set the brewing container on top its stand, with the brew-release switch set in the off (or up) position. Place the carafe under/inside the stand. Add the ground coffee to the brewing container and secure the perforated lid. Pour the water onto the lid in a circular motion so the grounds are evenly saturated. Allow the wet grounds to "bloom," or degas, for 10 minutes and then gently stir. Allow the grounds to brew for 12 hours (or longer if you want a stronger batch) in a cool, dark space. Do not cover the brewer. After 12 hours, depress the brew-release button and allow the concentrate to empty into the carafe below. Discard the grounds. The concentrate is ready to use. It can be diluted with cold water or dairy/nondairy milk: up to 3 parts water or milk to 1 part concentrate. You can also pour the concentrate straight over ice for a strong, syrupy drink. This recipe requires a Toddy cold brew system, which you can find online.The cold-brew concentrate needs to steep for 12 hours. It can be refrigerated in a sealed container for up to 2 weeks. The beans recommended for this recipe are Sumatra dolok aanggul. If you can't find the beans or they aren't in season, you can substitute a similar bean that's roasted medium-dark. Secure the stopper in the bottom of the brewing container. Dampen the filter with a little water and place it in the mold on the inside bottom of the same container. Fit the brewing container on top of its decanter. Combine 1 cup of the filtered water and half the ground coffee in the container; do not stir. Gradually add 3 more cups of the water over that mixture, pouring in a circular motion for even distribution. Add the remaining 6 ounces of ground coffee; let sit for 5 minutes, then gradually pour in the remaining 3 cups of water, pouring in that same circular motion. Use the back of a large spoon to press down on the grounds to make sure all the ground coffee is submerged. Let steep, uncovered, for 12 hours in a cool, dark place. 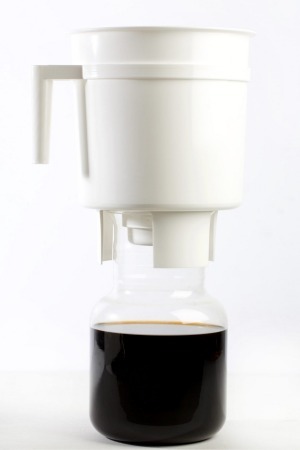 Lift the brewing container just enough to be able to remove its stopper, then allow the cold-brew concentrate to flow into the decanter below. Discard the grounds. The concentrate is ready to use. It can be diluted with cold water or milk: up to 3 parts water or milk to 1 part concentrate. 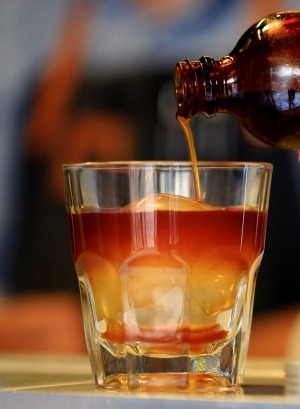 You can also pour the concentrate straight over ice for a strong, syrupy drink. Tip: Fresh beans are important. Don't use beans more than 30 days past their roast date.